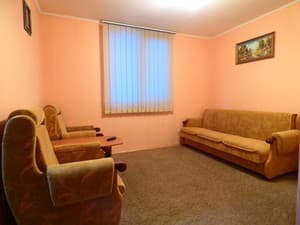 The private estate "Hotel" is located in the center of Rakhova, 10 minutes walk from the railway station. 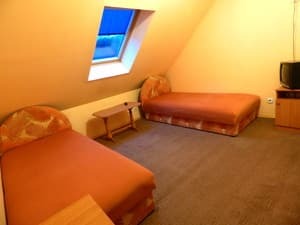 The hotel offers accommodation in 2, 3-bed rooms. The rooms have a modern flat-screen cable TV and a bathroom. The rooms have twin beds with orthopedic mattresses. There is free Wi-Fi throughout the property. 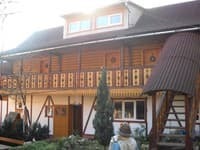 The nearest store from the manor is located at 20 m, a cafe in 60 m. In the courtyard there is a place for parking the car. The distance from the private estate "Hotel" to the railway station Rakhova - 2.1 km, to the bus station - 1 km. Check arrival: from 12:00 - 23:00 hours. Check leaving: to 11:00 - 12:00 hours. Children under 12 years without a separate bed are accommodated free of charge. On the preliminary agreement, it is possible to provide additional seats (the service is chargeable). 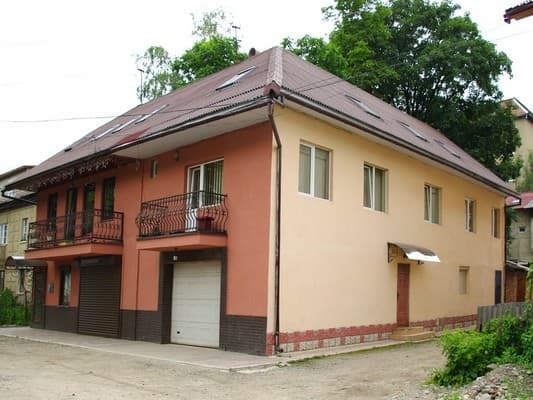 The nearest store from the manor is located at 20 m, a cafe in 60 m.
The private estate "Hotel" is located in the center of Rakhova, 10 minutes walk from the railway station. The distance from the private estate "Hotel" to the railway station Rakhova - 2.1 km, to the bus station - 1 km. Go by train to the railway station in Rakhiv.